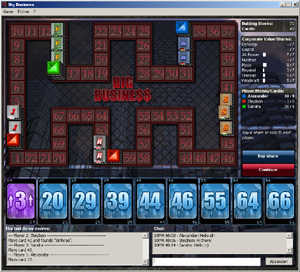 Big Business is a board game for Windows-PCs for up to six players. 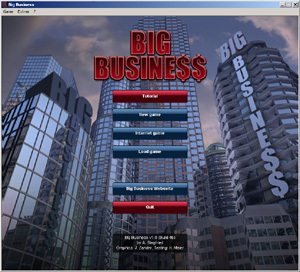 "Big Business" is a game where the players try to built up a fortune through clever building of companies, purchase of shares or companies. Make sure you get your share of the companies that will be worth a fortune later. Invest in the right shares and always be a step ahead of your competition. In addition to the right strategy and a keen sense, a little luck can be of use.